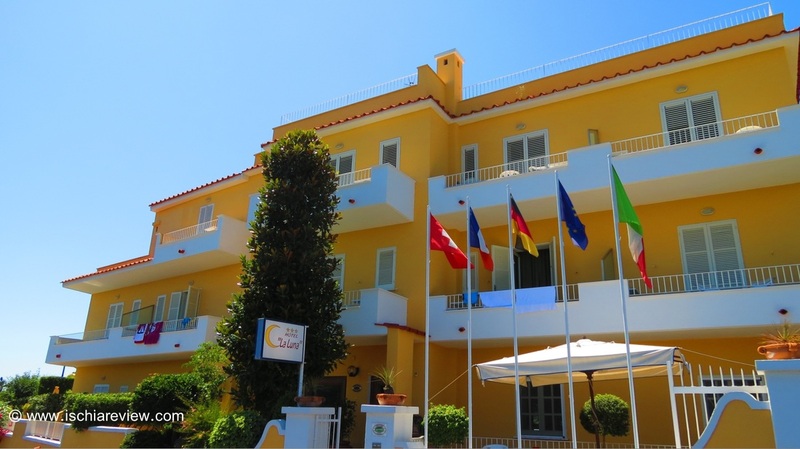 There are 10 three star hotels in Barano. As we're in Ischia you can ask our opinion, read reviews or make a reservation via our booking system. Barano is one of the six "comune" (similar to a borough) of Ischia and lies between Ischia Porto and Serrara Fontana. It can be easily reached along the main road that circles the island and there are a number of bus routes that run to its main attractions. It's difficult to talk about Barano without mentioning its wonderful Maronti Beach, the largest on the island and the principal reason why the area is so popular. 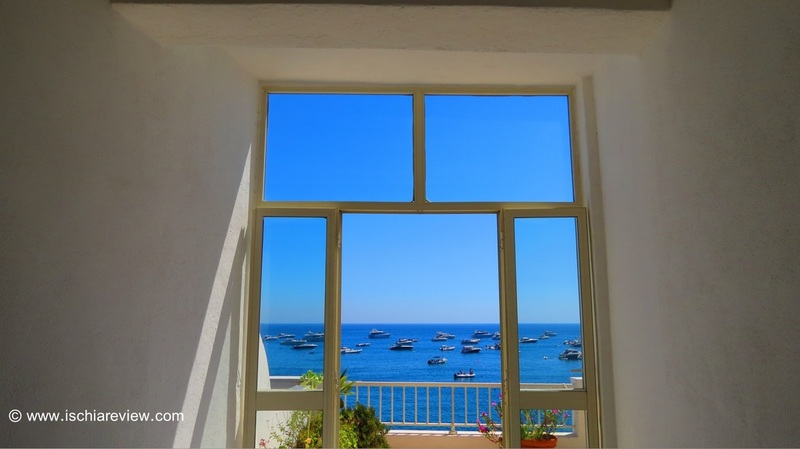 Most of Barano's hotels are concentrated around the beach although there are some exceptions to this with other hotels located in the villages of Testaccio, Piedimonte and Fiaiano offering some spectacular panoramas of Capri and Sorrento. To check live availability & prices for every three star hotel in Barano, use the search box below. To browse photos and more details of the hotels, click on the photos below or on the green buttons beneath them for live information. Albergo Olmitello is just a few yards from the fabulous Maronti beach in Barano. There is free WiFi throughout as well as a private beach area, restaurant and garden. Albergo Villa Giusto in Barano is an 18th century villa with views over Maronti beach. The rooms are spacious, with AC and have TVs. some rooms come with sea-views. 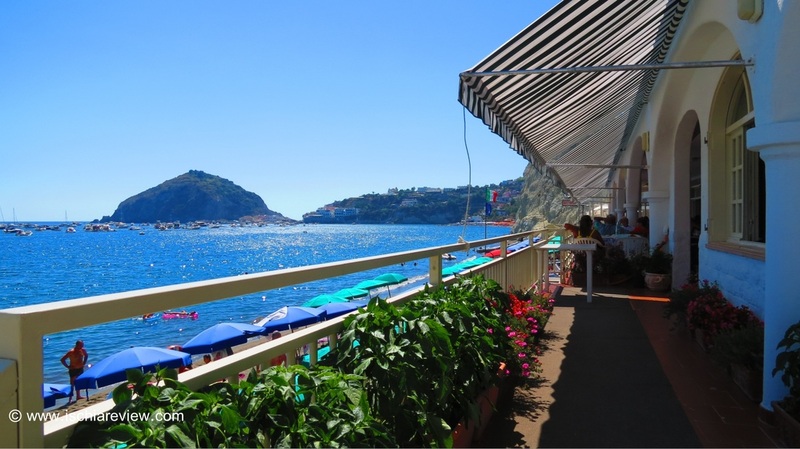 Situated just a few steps from Maronti Beach, Hotel Maronti comes with its own on-site restaurant, bar and terrace. Upon check-out, guests receive a complimentary jar of marmalade! 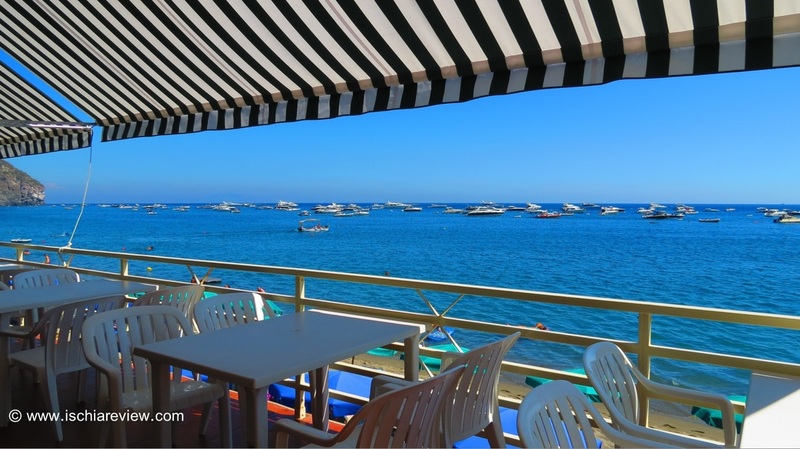 Set right on Maronti Beach, the Hotel Regina Del Mare offers a perfect holiday escape in a tranquil setting while the village of Sant'Angelo is just a short water-taxi ride away. Hotel Vittorio Beach Resort in Barano in Maronti has its own private beach and wellness centre with indoor and outdoor pools. All rooms have balconies and sea-views as standard. 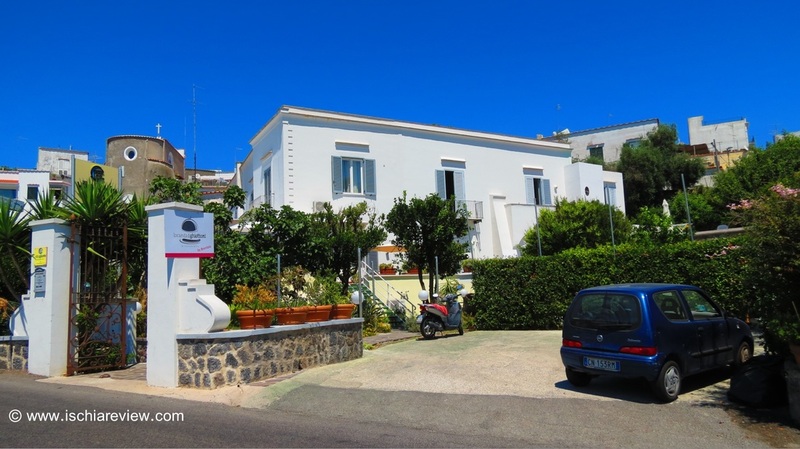 Hotel Villa Al Mare sits in one of Ischia's beauty spots, the road that leads down to Maronti Beach with its spectacular views across to Sant'Angelo and the beach below. Hotel La Gondola is situated directly on Maronti beach in Barano and comes with its own thermal spa and swimming pool plus restaurant with sea views. 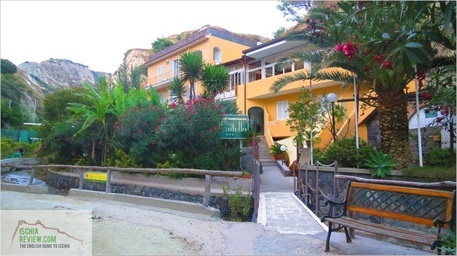 Hotel La Mandorla is located next to Maronti Beach. It has free WiFi throughout the building and rooms come with TVs and ceramic floors while bathrooms are all equipped with hairdryers. Situated in Barano, Hotel La Luna has its own garden with a pool and spa. Parking and Wi-Fi in public areas are free, while rooms have satellite TVs & private bathrooms. Hotel Internazionale in Barano has its own wellness centre and pool with thermal water. 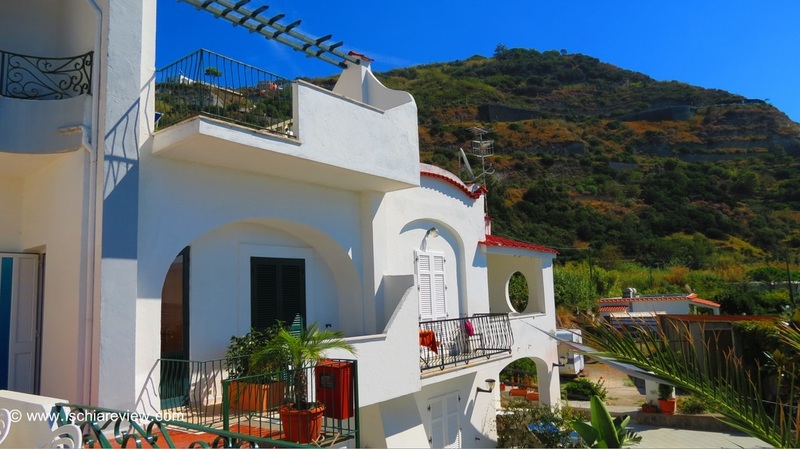 It's located close to the woods of Fiaiano and rooms have sea or garden views.